• edited by Trina Robbins • While they might seem to be located on the other end of the spectrum of femininity from the aforementioned Tank Girl, this is simply a lack of historical perspective. 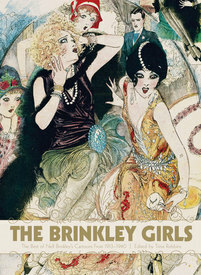 "The Brinkley Girls" are actually the daring cartoon precursors to today's freaky females. In fact, much of the work contained in this volume is a formally daring combination of prose and illustration, with the illustrations admittedly quite dominant. As Brinkley's work evolved, some of it took on more of a sequential, comics-oriented approach, but it remained unique both its style and flavor throughout is nearly thirty year run. The Brinkley Girls were the creation of one Nell Brinkley, a fabulously talented artist – and a glamour girl in her own right – who plied her trade in the rough and tumble masculine world of Hearst Publications, specifically The American Weekly, during the years 1913 through 1940. Editor Robbins has done an equally fabulous job of assembling the material for this fine volume (which, by the way, is an elegantly proportioned 10" x 13" hardcover volume, printed in full color – from high resolultion scans of original materials – throughout its 136 pages), and her fine introductory essay puts it all in context. The artwork here simply has to be seen to be believed. Brinkley, rather than create a continuity based on a single character or set of characters, after the fashion of practically all other cartoonists, instead created an series of discrete self-contained continuity adventures featuring non-recurring characters that ran a set number weeks and then ended, to be followed by a new adventure. What connected them all, is that, figuratively speaking, they all "starred" a set of Brinkley's gorgeous – and gorgeously rendered – golden girls,and this is what ensured their lasting fame. Brinkley's work influenced a host of classic newspaper cartoonists, most notably Dale Messick, the creator of Brenda Starr, and its inffluence continues to be felt, both directly and indirectly, today: The work of Dame D'Arcey will appear in a whole new light after you've spent some time with this volume. 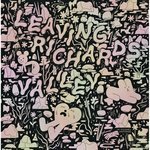 Opening this book will open your eyes to an era and an artist.